In order to help increase the experience for our guests in learing, we have applied a more hands on approach, literally, this is stuff they can touch! The curiosity carts, one is about fur and the other is about trees, we have some more tenative ideas to come, like an ocean theme perhaps. 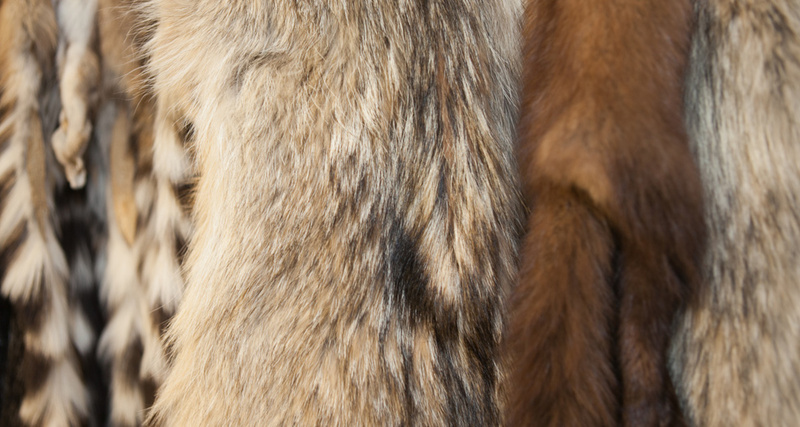 In the fur cart we have furs from many different mammals We invite the patrons to observe with their eyes and hands to make observation about what the purpose for that fur is. 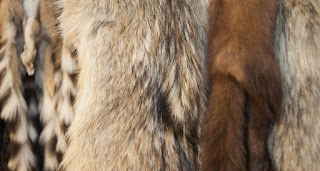 mammals have developed fur to accomplish all sorts of things, keep them warm, camoflage, defense, and even cool the, down. With every cart we have an ipad that provides more opportunities to learn with interactive slide shows with videos and pictures. This allows the guest to learn at their level, if they just want to touch and guess which furs come from what animal or if they want to read inforamtion about each animal and their skin covering type and watch videos about it or they can egage with our knowledgeable educators for even more information. We also have this available with a cart about trees. With this one we have many pieces of wood from different trees. Kids can touch these and count the rings to see how old these trees are, our oldest counted one is from a juniper that is 406 years old! We have leaves they can examine, seeds and animals that live in trees. 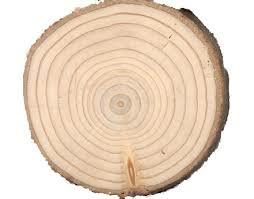 On the ipad they can learn about tree types, how rings are formed, how an acorn grows and more! It is our hope to utilize more learning like this in the museum. Our hope is to show you the wonders of the earth and hopefully as you learn more, you will care more and want to take part in being a good steward of this planet. Come check the curiosity carts out and learn something new! The monday before easter we had our annual family night at the museum. This year we had an easter egg scavenger hunt, the guests had to use their eyes to find all the eggs in the museum for a candy prize. We divided the eggs into levels of easy (green eggs) medium (yellow eggs) and hard (pink and orange eggs). 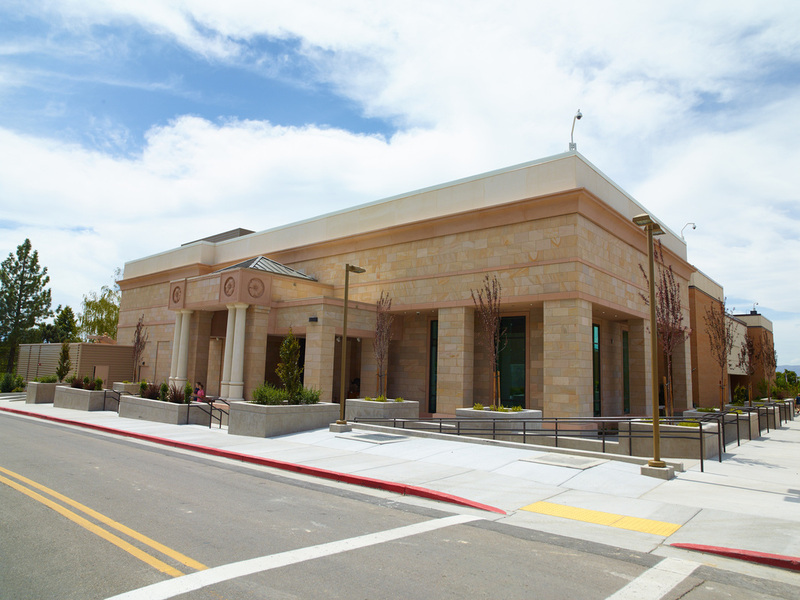 There were a total of 35 eggs hidden in the musum, 5 green, 10 yellow and 20 pink and orange. 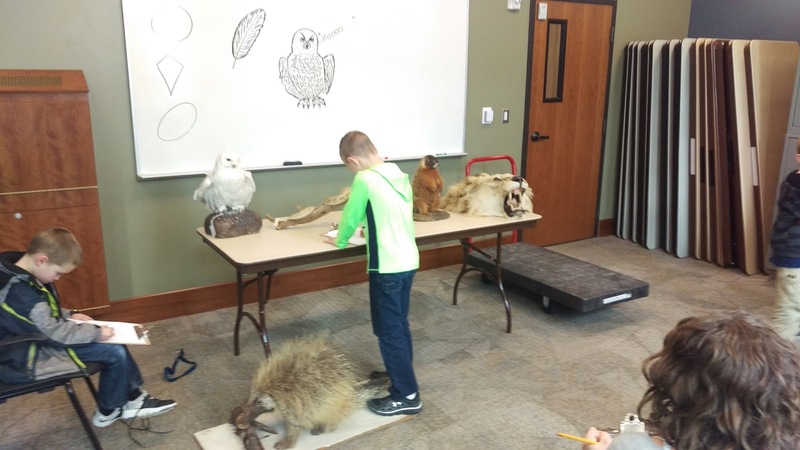 The conservation kids came to visit and gave out the candy prizes as well as hints. It was a full house, over 1000 people came to visit for the family night. Many people found the eggs they were looking for and signed up on our e-mail list to take part in a survey to let us know how the museum is doing. We had great success and look forward to more to come! We have a new addition to our live animal family, say hello to Lucy! She is a Uromastyx, also known as a Spiny-dabb lizard. 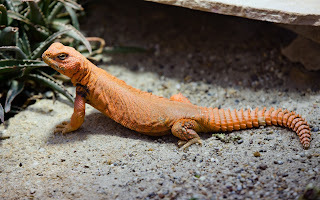 In the wild these lizards live in the northern deserts of Africa as well as the Middle east. These lizards are vegetarians, eating seeds, dried fruit, and greens. 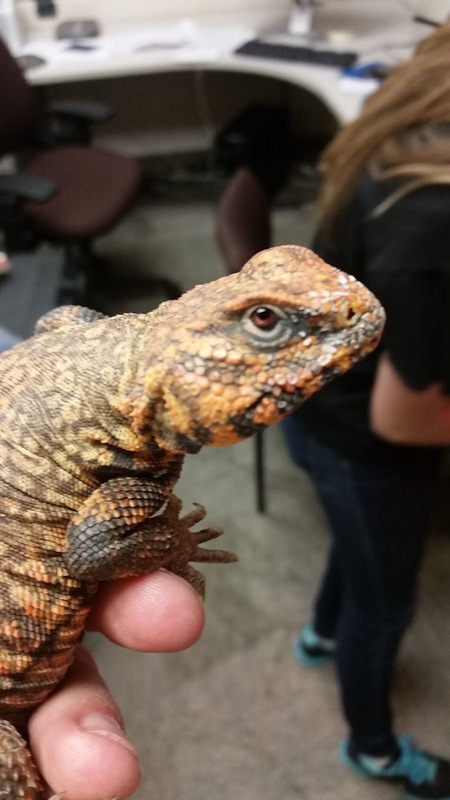 The name Uromastyx is greek for "Whip Tail." The reason they got that name is because they use those spines on their tail almost like a Stegosaurus would, to whip in defense and those spines are sharp! Their tail is their line of defense, they will also hiss and open their mouth to show you their little teeth. It that doesn't work they also use their speed to get away from a potential threat. They like it hot! They do fine in temperature rising above 115 degrees Fahrenheit. They don't like temperatures cooler than 80 degrees! They are active in the day and sleep in their burrows at night with their tail at the entrance to dissuade an attacker. 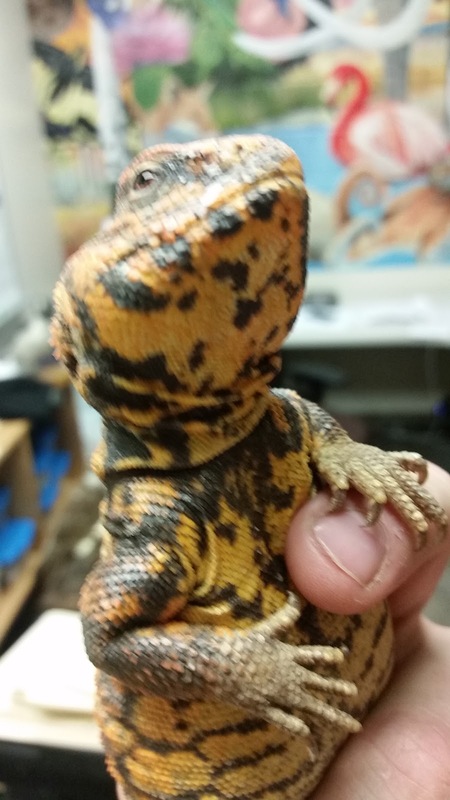 Uromastyx come in so many varieties of species and colors, ranging from drab tans and browns to beautiful reds, yellows oranges, greens, and even blues! They range in size from 12 inches to 36 inches, that is three feet! 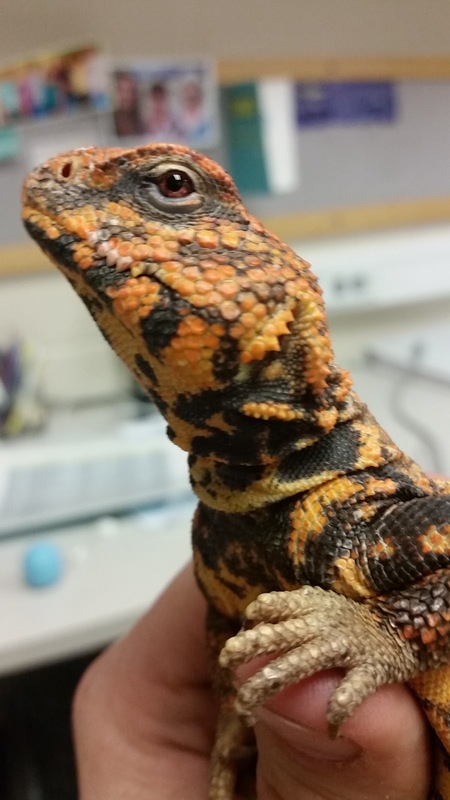 Lucy is likelky a Saharan Uromastyx (Uromastyx geyri) which are found in Mali, Niger and Algeria. 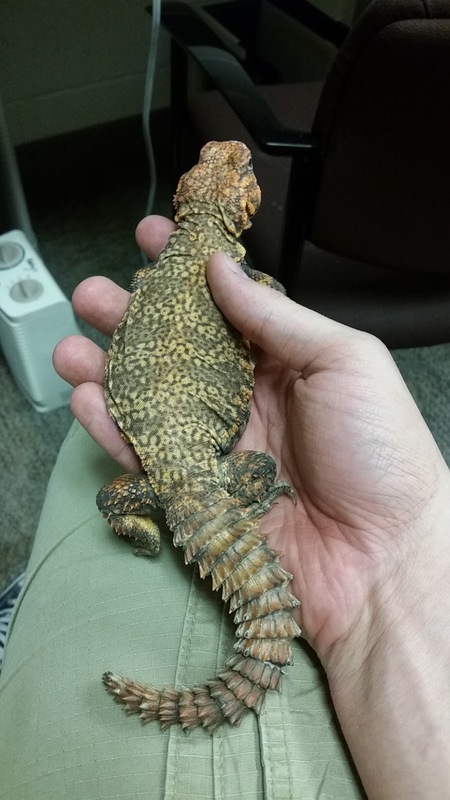 Lucy will grow to about 14 inches and weigh 220-270 grams. Females are generally less colorful than males, males like to show off just like a peacock. Males also have longer claws and spines, likely for fighting purposes. This is what a male would look like compared to Lucy. Look at that color! Females lay 5-40 eggs, depending on the species, Lucy would lay around 8-10. In some parts of the middle east these lizards are eaten for dinner! Like many lizards their colors change due to their temperature. A Bright lizard is a hot lizard! Lucy is getting ready to be used for shows. You should be seeing her in live animal shows in the next few months. We are excited to have her and look forward to you all being able to meet her! 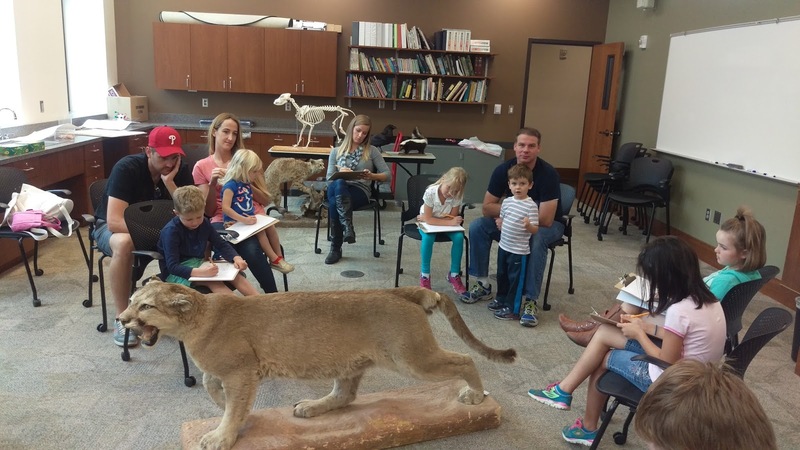 A way to encourage learning and observation of the detail of the natural world is by learning to draw it. That is our hope as we invite the public to participate in Discovery Drawing. Our educator Nathan Hawks is a talented artist and loves to share that talent with others. 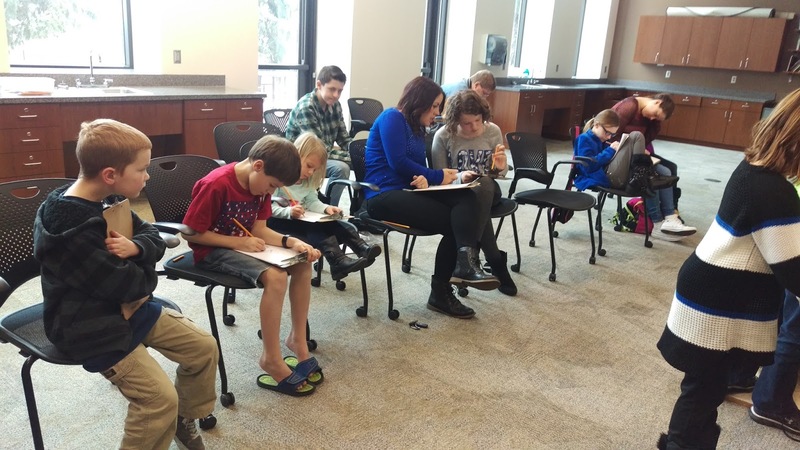 He leads a group ranging from kids to adults to learn how to increse their skills of art. 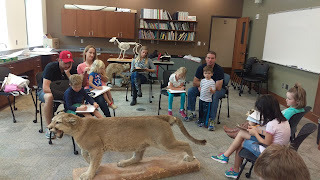 During the museum's "Discovery Drawing" we use animals to step up our drawing game! 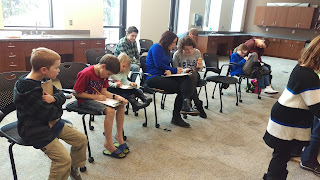 During each month's workshop we focus on the basic shapes in all types of animals and how they relate to each other, essentially breaking down the animals shapes in order to make them easier to draw. Although some animal shapes are a little far out of the basic shape spectrum, everyone does a great job. We also learn the basics of adding textures, like fur, feathers, and scales to animal drawings to make them more interesting. Don't miss out on Discovery drawing! 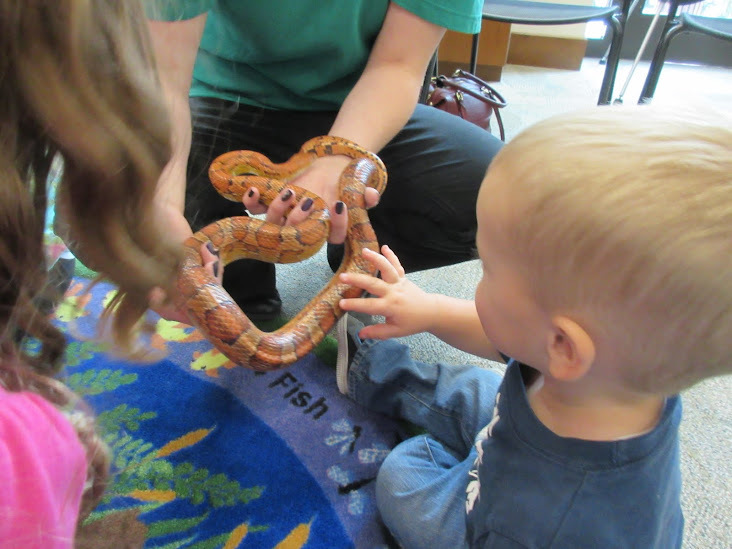 Every 2nd Saturday of the month from 2-3pm open to ages six and up! See you then!